The Joyetech Atopack Dolphin is the latest pod style device of Atopack series with 2100mAh battery and optional 2ml/6ml capacity. It's compatible with JVIC (juice vertical injection coil). The elegant dolphim-like appearance of Joyetech Atopack Dolphin Kit will definitely catch your eyes! 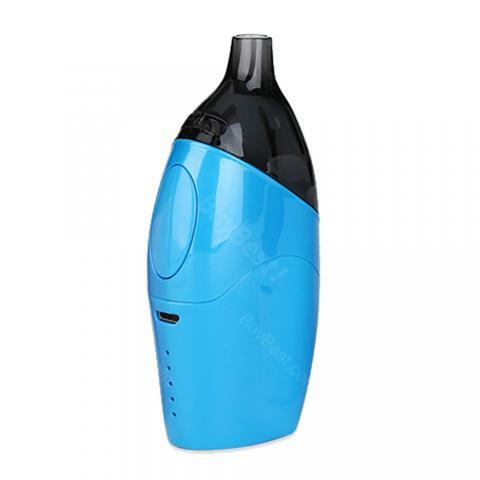 As a compact pod style vaping kit, it has a built-in 2100mAh battery and optional 6ml/2ml cartridge. You can check the e-juice level through its transparant tube and battery level with its five-level indicator. The JVIC(juice vertical injection coil) system brings you a perfect vape everytime, both for DL and MTL vapers. • Power on/off: Press the fire button 5 times in quick succession to turn it on, the indicator lights will flash 5 times. Press the fire button in the same way, it will be turned off. • Soak the JVIC coil: Take out the coil and drip a few drops of e-liquid in it. • Vaping: Insert the coil into the cartridge. Put the cartridge into the battery. Press the button on inhale, release to exhale. • Charging: Simply charge the ATOPACK Dolphin by connecting it with a computer or a wall adapter via USB cable. When it's fully charged, the indicator lights will stay lit for 10 seconds and then go out. Die Lieferung erfolgte sehr schnell.das Design ist sehr edel und optisch ansprechend. Joyetech Atopack gefällt mir sehr.